Are playgrounds engineered for safety doing more harm than good? Modern playgrounds are too safe and may even be holding kids back developmentally, say a pair of interdisciplinary UBC scholars who recently released the results of a research survey confirming public opinion on the issue. "If you take risks, then you learn how to navigate the world. If you're prevented from taking a risk, you're actually going to be in a more dangerous situation," explains study co-author Professor Susan Herrington, a professor in the University of British Columbia’s (UBC) School of Architecture and Landscape Architecture. The project – titled Play Worth Remembering: Gaining Public Insights into Memories of Outdoor Play Spaces– surveyed close to 600 adults over 19 years of age on their opinions of typical playgrounds found today, as well as memories about their own favourite childhood play spaces. The study was kickstarted by the Peter Wall Institute’s Research Mentoring Program, which links experienced Faculty Associates of the Institute with early to mid-career scholars in UBC departments to engage in interdisciplinary, innovative research. A majority of survey respondents (69 per cent) found today's playgrounds too safe and lacking challenges. Another 59 per cent said that in their own childhood experiences they preferred natural play spaces – such as backyards, forests or waterfront areas – to those designed specifically for play. Overall, the respondents’ preferences for natural play settings and play props point to a need for landscape architects and community planners to use more natural elements and physical challenge in modern play spaces, say the study’s authors. Professor Herrington partnered with Dr. Mariana Brussoni– a childhood injury specialist and Assistant Professor within the Faculty of Medicine’s Department of Pediatrics and the School of Population and Public Health– for the cross-disciplinary project. Dr. Brussoni also serves as a researcher the Child and Family Research Institute at BC Children’s Hospital. Most of today's playgrounds, the now ubiquitous and colourful pre-fabricated play structures, simply don't serve a child's developmental need for free playtime. Dr. Brussoni says over the years these structures have become lower to the ground and constructed largely with man-made safety materials like rubberized play surfaces. 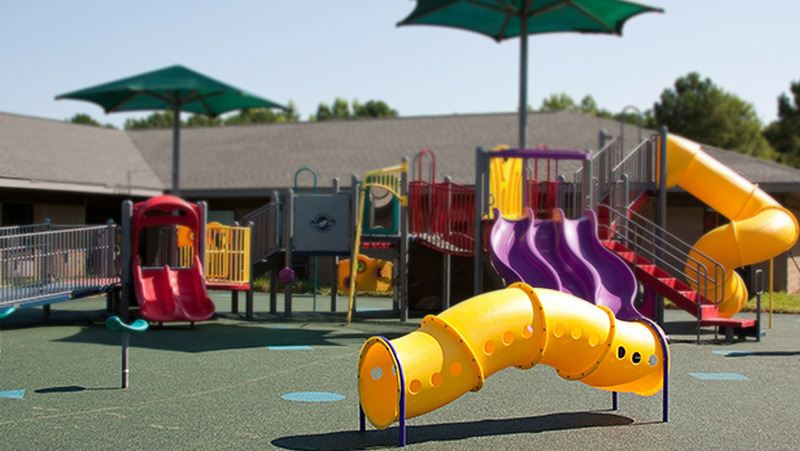 "The most important aspect of children's play spaces is the fact that children can manipulate those spaces to suit their own activities," explains Dr. Brussoni, adding that traditional playground structures make this nearly impossible. In free play, children make decisions for themselves on how to interact with different objects – known as play props – in the environment around them. Natural settings provide countless play props, and droppings from trees and plants quickly become anything imaginable as kids invent new ways to play, build and move through space. Kids who engage in more self-directed free play show better executive functioning skills than those who don’t, according to a June 2014 study out of the University of Colorado and the University of Denver that studied the schedules of 70 six-year-olds. Executive functions – essential in basic higher-level cogitative processes like planning, decision-making and inhibition of unwanted thoughts or feelings – regulate thought and action that supports goal-directed behavior. These skills have been shown to predict important future life outcomes in children, and research even suggests that children with weaker executive functioning skills go on to have poorer health, wealth, and social outcomes in adulthood. Play Worth Remembering survey respondents named features like sticks, plant life, trees, rocks, and boulders as some of their favourite elements in remembered play spaces, and the working paper calls for architects and community planners to focus on including more natural elements, risk opportunities, physical challenges and open-ended space for exploration in modern play spaces. "It's really, developmentally, completely different." Typical playgrounds don't provide enough risk opportunities for developing kids, the study authors say. "We also need to realize that kids need risk experiences," adds Dr. Brussoni, explaining that recent research strongly supports the hypothesis that these lower-level risky events – such as learning to climb a tree or balance on a log bridge – are actually anti-phobic experiences. Fear of heights, an anxiety inducing experience for many people, is a prime example. "If you watch kids play, they're really good at gradually introducing themselves to challenges," she explains. So while a child may only climb up the first three branches of a tree one day, they are likely to climb higher on the next attempts. "Imagine if you're never given the opportunity to climb higher. You don't realize that you're capable of doing it ... You can imagine if you're climbing a little bit higher every day, you're actually doing what cognitive behavioral therapy is ... you're calming yourself and you're mastering [the task] so it doesn't produce anxiety any more." Balancing the need for free play and risk with safety concerns from parents isn't easy, and Dr. Brussoni says more research and hard numbers are needed to convince holdouts of the need for change. Next, Dr. Brussoni and Prof. Herrington are conducting an intervention study at two childcare centres in the Lower Mainland to study how better play space design may effect bullying, aggression, physical activity, and social levels in children. Left: One of the childcare play spaces selected for revitalization in Dr. Brussoni and Prof. Herrinton's Lower Mainland intervention study. With new plants and natural materials, the photo on the right shows completed work on a similar site. The childcare centre spaces were revitalized with plants and natural materials like sand and bamboo poles according to specific design principals from Professor Herrington's 20 years of experience in landscape architecture. Dr. Brussoni says she has been "amazed" at the visible results, but is hesitant to make further comments until the data have been fully analyzed. "It definitely changes the way that children play. We saw children taking social risk as well – shy kids all of a sudden had an environment where they felt a bit more confident because it wasn't just a piece of prescribed activity. They were inventive," says Herrington, who admits her background in qualitative research makes it easier to comment on observations before the final numbers are in. "I've never had a mentor in a field so separated from my own," says Dr. Brussoni on the opportunity to blend her scientific background with Prof. Herrington's own research approaches. "The fact that we've come to the same place from two different areas is really fulfilling."